NIEPMD Recruitment 2019 - Below are various recruitment notifications published by NIEPMD: National Institute for Empowerment of Persons with Multiple Disabilities / niepmd.tn.nic.in. As of now, we don't have any active recruitment notification by NIEPMD featured here. We may update as soon as the organization announces a new job notification. If you are looking for any information related to previously organized recruitment drives by NIEPMD, you can browse through previous job notifications mentioned below and get the new updates or information you are looking for. NIEPMD Recruitment 2019 - Job notification for 15 Director, Assistant Professor & Other Posts in NIEPMD, Tamil Nadu on Contract Basis. Applications are invited by NIEPMD: National Institute for Empowerment of Persons with Multiple Disabilities within 21 Days From Publishing of the Advertisement in the Employment News for 15 vacancies. NIEPMD Recruitment 2019 - Job notification for AAO, Driver & Other Posts in Department of Empowerment of Persons with Disabilities, NIEPMD, Noida, Uttar Pradesh on a Regular Basis. Applications are invited by NIEPMD: National Institute for Empowerment of Persons with Multiple Disabilities on or before 18 Apr 2019 for 9 vacancies. NIEPMD Recruitment 2019 - Clinical Therapist (Consultant) Post in Department of Empowerment of Persons with Disabilities, NIEPMD, Chennai, Tamil Nadu on Temporary Basis. Candidates are invited by NIEPMD: National Institute for Empowerment of Persons with Multiple Disabilities to attend walk-in-interview to be held on 22 Mar 2019 at 10:00 AM for 1 vacancy. 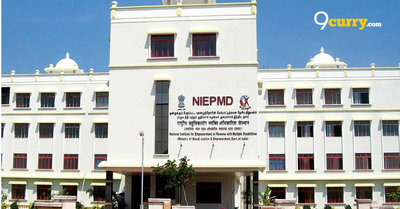 NIEPMD Recruitment 2019 - Speech Pathologist and Audiologist (Consultant) Post in Department of Empowerment of Persons with Disabilities, NIEPMD, Chennai, Tamil Nadu on Temporary Basis. Candidates are invited by NIEPMD: National Institute for Empowerment of Persons with Multiple Disabilities to attend walk-in-interview to be held on 08 Mar 2019 at 10:00 AM for 1 vacancy. NIEPMD Recruitment 2019 - Walk in for Consultant Posts in NIEPMD, Chennai, Tamil Nadu. Candidates are invited by NIEPMD: National Institute for Empowerment of Persons with Multiple Disabilities to attend walk-in-interview to be held on 07 Mar 2019 10:00 AM for 2 vacancies. NIEPMD Recruitment 2019 - Walk in for Consultant & Other Posts in NIEPMD, Tamil Nadu on Temporary Basis. Candidates are invited by NIEPMD: National Institute for Empowerment of Persons with Multiple Disabilities to attend walk-in-interview to be held on 26 Feb 2019 at 10:00 AM for 3 vacancies. NIEPMD Recruitment 2019 - Walk in for Occupational Therapist Post in NIEPMD, Chennai, Tamil Nadu. Candidates are invited by NIEPMD: National Institute for Empowerment of Persons with Multiple Disabilities to attend walk-in-interview to be held on 15 Feb 2019 10:00 AM for 1 vacancy. NIEPMD Recruitment 2019 - Walk in for Junior Manager Post in Department of Empowerment of Persons with Disabilities, NIEPMD, Chennai, Tamil Nadu on Temporary Basis. Candidates are invited by NIEPMD: National Institute for Empowerment of Persons with Multiple Disabilities to attend walk-in-interview to be held on 11 Feb 2019 at 10:00 AM for 1 vacancy. NIEPMD Recruitment 2019 - Job notification for Director, Lecturer & Other Posts in NIEPMD, Maharashtra. Applications are invited by NIEPMD: National Institute for Empowerment of Persons with Multiple Disabilities within 21 Days From Publishing Of The Advertisement in the Employment News. for 15 vacancies.